'(Ballet dancers)' has affinities with the work of George Lambert, Thea Proctor's friend and colleague, clear especially in the elegant, mannered figures on the right. 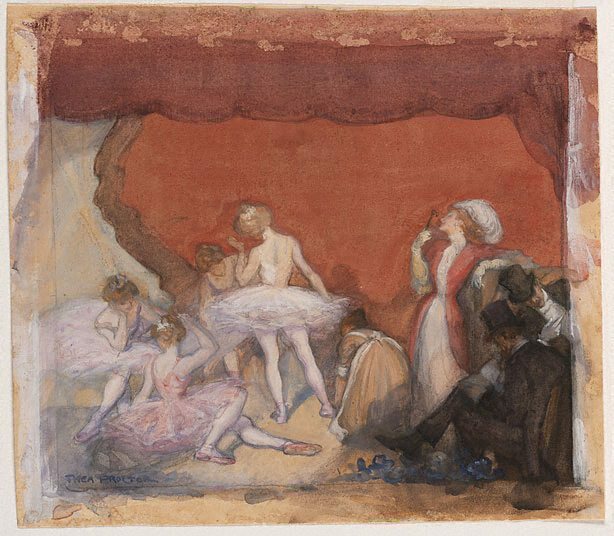 Proctor long had an interest in the theatre and the ballet, developed during her time in London from 1903-1921. Signed l.l., blue watercolour "THEA PROCTOR". Not dated.